red headed book child: Did I happen to mention I write on another blog? Nice! You sound so happy! One of these days I'm going to show up at your bookstore door. I also wanted a coffee cup from your store and forgot to look for them! 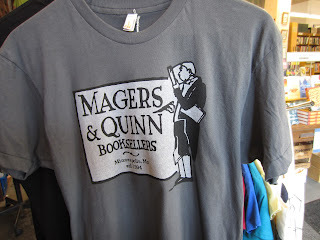 I wish I would have known what bookstore you worked at when we were in Minneapolis! I've pinned the link to my Minnesota board - next time we're there, I'm coming in! No you did not mention this already!! !